Google has officially released info on their new Google Home Hub, which rivals Amazon's Echo Show. Which one will you choose? Confirmed this week, Google are officially releasing a rival product to Amazon's Echo Show (read more about that launch in our news feature). 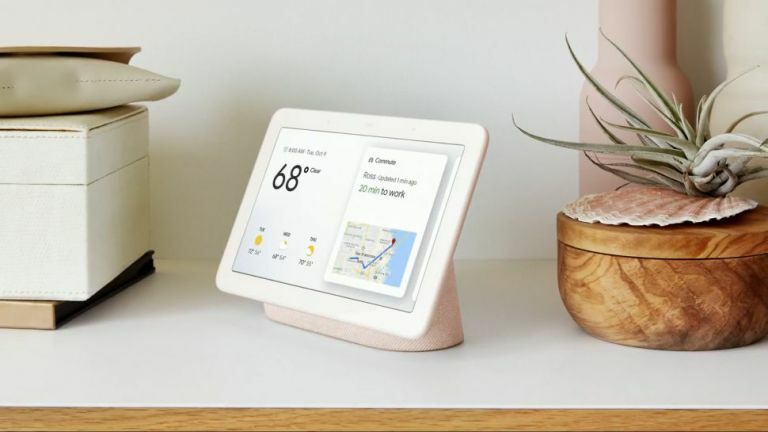 With a 7-inch screen and similar functionality to Amazon's version, the new first-party smart display Google Home Hub will be released this month. Looking for more smart home deals? WHAT does the Google Home Hub do? The Google Home Hub is a smart speaker with a screen; it can talk to you, help you out with to-do lists and also act as a photo frame to display all of your favourite memories. What features does the Home Hub have? An Ambient EQ light sensor, which allows the screen to automatically adjust to match the lighting in the room, and Home View, which shows an overview of all of your other smart products, allowing you to turn them off and on as you please. In the morning, Google Home Hub can give you a quick snippet of your day including the weather, what's on your agenda, your commute information (from Google Maps) and reminders from your to-do list. Unlike the Echo Show, Home Hub can access Google Maps, Photos and Calendar, and you can watch YouTube and YouTube TV on it (a serious advantage, we think). Better still, because they're the first retailer to offer a product this of this kind with YouTube on tap, Google is giving everyone who purchases a Home Hub six months of YouTube Premium for free. Oh, and did we mention it's also available in four different colours? Choose from chalk charcoal, aqua and sand. Admittedly, no front camera makes video-calling trickier, although you can still easily voice call from the device. The reason for not including a front camera? Google want us to feel comfortable putting the Home Hub in bedrooms and bathrooms as well as kitchens and living spaces. WHEN will the Google Home Hub be available to buy? You can purchase the Google Home Hub from October 22 2018 onwards. When released, you'll be able to get your hands on one of these for around £110 (that's $149, AU$210). What's the difference between Amazon Echo Show and Google Home Hub? The two products do basically the same thing, showing visual information about your day as well as controlling your smart home devices. The only difference is that Amazon's version has a front-facing camera and Google's doesn't.